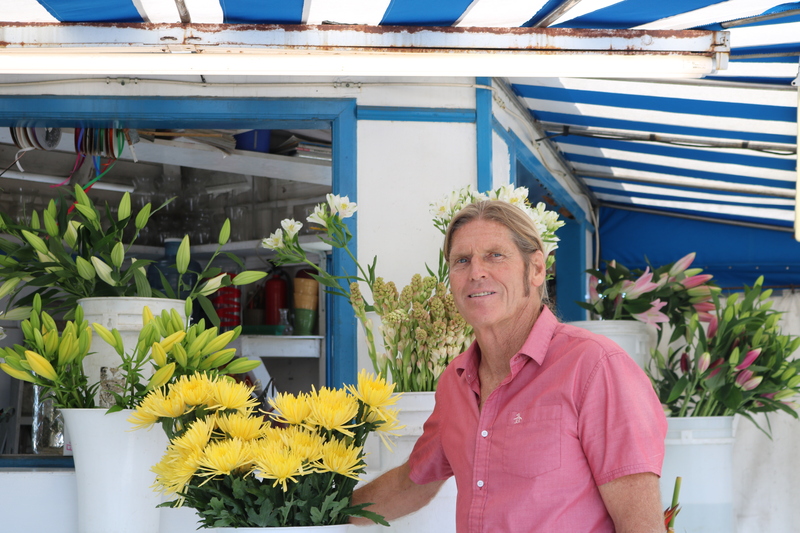 Keith Jones, drummer for the band Lucidiom, is also the owner of Flowers & Friends in San Clemente. The band will perform at 8 p.m. on Friday, July 17 at the Coach House. Having been together for more than six years, Southern California band Lucidiom will perform on home turf this summer as they open for The Delta 88’s and Martha Davis & the Motels at 8 p.m. on Friday, July 17 at the Coach House. Lucidiom band members include local drummer Keith Jones, bass player Dominic Fontana and Jones’ two brother-in-law guitarists Clint and David Haycraft. Jones, a San Clemente native and owner of Flowers & Friends in San Clemente, has been with the band for over a year after 50 years of drumming on his own and with other bands across Southern California. Jones said he’s eager to play locally with Lucidiom this Friday, following a July 11 performance at Cook Park in San Juan Capistrano. “It’s all original pop and punk music with some ballads,” Jones said. Lucidiom has been performing live since 2009, opening for numerous 1980s bands at the Coach House such as English new wave group ABC. In 1981, Jones played his first Coach House gig with guitarist Chuck Berry. This past April, the band kicked off the live concert season with a private charity event at the Musician’s Union Hall in Hollywood in April. Singles off Lucidiom’s album Flux include “Shining Star” and “On the Inside.” Jones said many music enthusiasts have come to appreciate their unique hybrid sound. “It’s all original material, and it’s all upbeat and rhythmic with a positive message,” Jones said. The Coach House is located at 33157 Camino Capistrano in San Juan Capistrano. Tickets are $20 and dinner reservations with priority seating are also available. For tickets or more information call 949.496.8930 or log on to www.thecoachhouse.com.